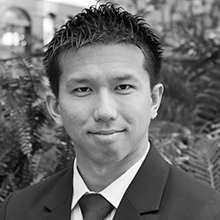 Sam Fong is responsible for analyzing investment performance, reporting and investor relations. Sam has over 12 years of experience in real estate investments. Prior to joining RMA, Sam developed an investment product for a commercial real estate investment group and worked as a contract writer for real estate auctions. Sam also founded a San Francisco Bay Area real estate investment club in 2008 which currently has over 200 members. Sam holds a B.S. in Management from the University of California at Merced.